I’ve been home a week now but when I close my eyes I can still hear the strong waves crashing against the untouched beaches and see the healthy green aura Sri Lanka’s lush vegetation casts over everything. 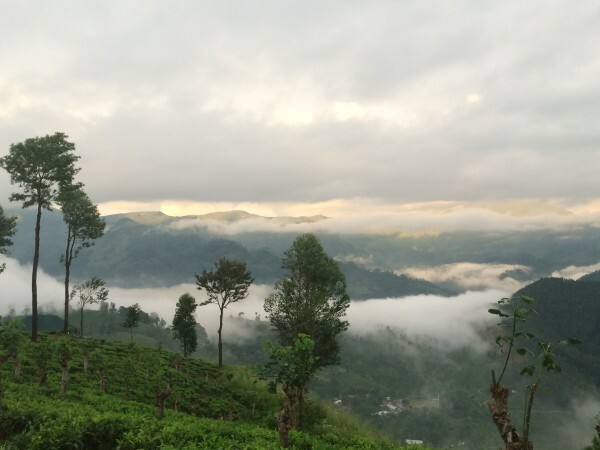 Sri Lanka is a country that stays with you, and in those particularly frenetic moments at my desk, part of me wishes I could have stayed with it, too. But now I get to relive a few of the highlights by sharing them with you. 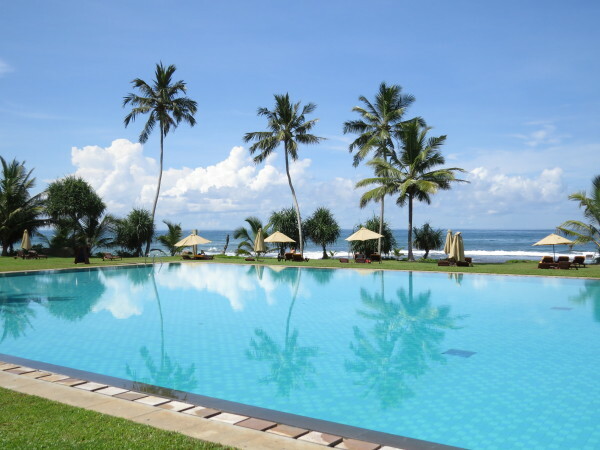 Perhaps you’ll feel inclined to book the next flight to Colombo, and hopefully you’ll also pick up a few tips for staying active on holiday – whatever the destination on the departure board. Green is the first word that comes to mind when describing Sri Lanka. Everything from the tropical trees to the low-lying plantation to the grass on the ground is so vibrant it seems to radiate a halo of light. And nowhere is this more true than in the tea plantations around Kandy. We stayed in the luxurious ‘tents’ of the Madulkelle Eco Lodge; more than a worthwhile resting place after a rather hair-raising four-hour ascent. The one-lane mountain road is bordered by steep cliffside vistas over a valley so lush I thought heaven must be near (though I wasn’t ready for early entry and, in any case, can’t be sure I’ve made the cut). 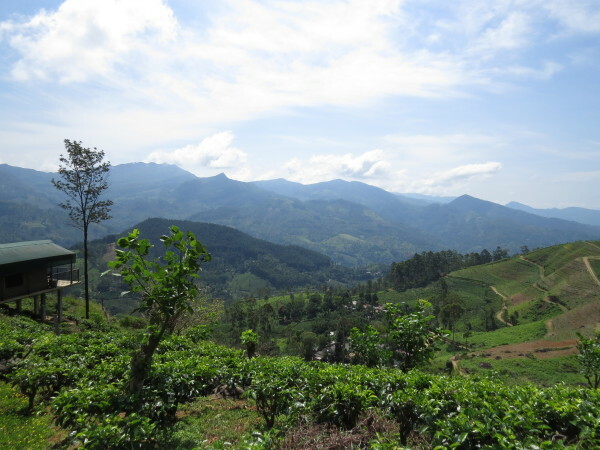 It’s no coincidence that the nearby hiking hotspot called Adam’s Peak is a pilgrimage site with visitors believing Adam stopped here to take a final look over the land of Eden. The final hour of the drive is lined by miles of tea fields. Beds of tea leaves looked so dense you’d think they would hold your weight if you were so inclined to jump in. On arrival, it was captivating to see the clouds roll in below and the base of the valley disappear. After spending a few days with our heads above the clouds, it was time to get a little closer to sea level. The ocean on the south coast of Sri Lanka likes to make a statement – waves erupting from the rocks like lava. Yet the rhythmic lapping against the shore is the ultimate soundtrack for relaxation. 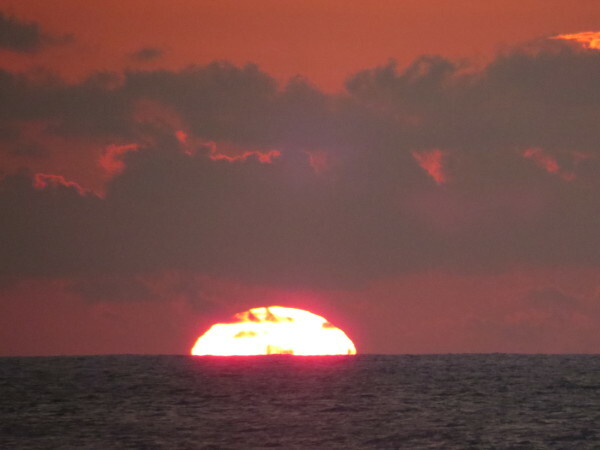 Stick around for dusk and it’s impossible not to feel at peace – the big red sun sinking beneath the horizon in minutes as it leaves its trace in the evening’s rose-coloured clouds. 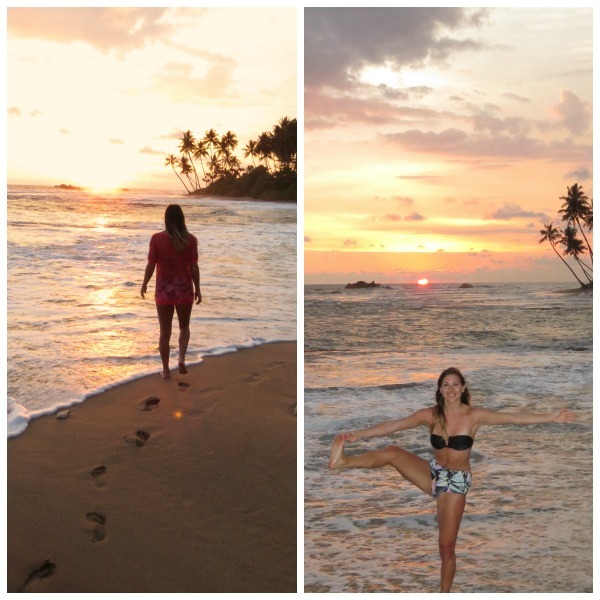 Staying in shape (and getting even fitter) was easy in Sri Lanka. As the temperatures rose to 30 degrees and above by 8am, we established a healthy habit of going to bed and waking up early. Often the first up in the Jetwing Lighthouse Hotel in Galle, I’d have the gym to myself. Most of the equipment was a little out of date (head over to my Instagram account to see a step machine straight out of the 70’s), but it was fun to get a little old school and even run on a self-powered treadmill. Daily swims in the beautiful Infinity pool were also the perfect way to stay cool. To avoid burning in the midday heat, I’d break my swims into two 15-minute sessions. Making the most of the outdoors is especially important for me on holiday, as on working days in the UK I’ll easily spend all but one or two hours inside. I booked two private yoga classes on the balcony for my husband and I. 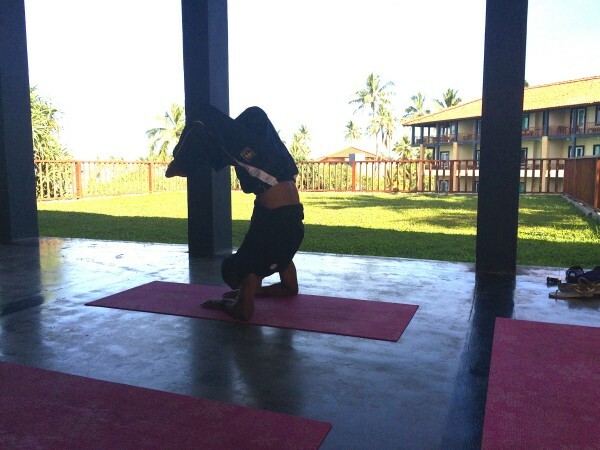 Our instructor Upali specialises in Hatha yoga and had some unique approaches for getting into familiar moves, which I’ve since found useful for practising inversions like crow and headstand. Here he demonstrates a pretty impressive Scorpion handstand. Upali definitely pushed me into some more progressive poses, so I was glad I’d spent a morning in the tea plantations warming up with a gentle stretch and flow session. I also used the beautiful backdrop of the tea plantations to film this short sunbed circuit – proving that a sun lounger is good for more than just R&R. This sequence of step-ups, single-leg lunges, glute bridges (using the balcony railings for a little extra elevation), decline press-ups, tricep dips, plank-ups and teasers was an ideal full-body circuit to boost my metabolism and prevent any muscle loss while I took a break from my full-time routine. Although I confess to the odd indulgence in Indian food, I prefer the creamy western varieties like Korma and Pasanda to the chilli-heavy variations loved by Sri Lanka’s locals. 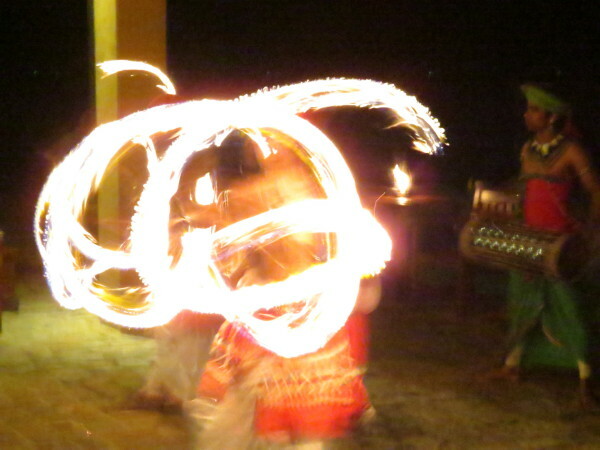 These fire dancers even swallowed the flames from their batons to prove just how resilient they are to the heat. However, a daily soup course was a nice surprise, with ginger-infused broths having a warming quality without making your eyes water. 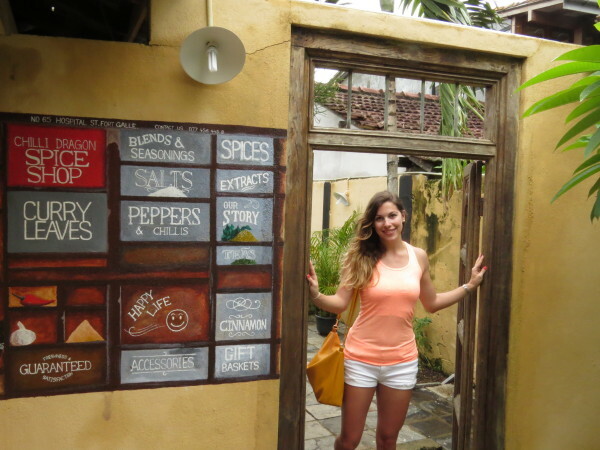 During a trip into the walled city of Galle Fort, we also stumbled across this independent spice boutique called Chilli Dragon, where I stocked up on some of my favourite ingredients like cinnamon for porridge and protein balls. A cooler treat for the taste buds was a local drink called the Mint Frappe. 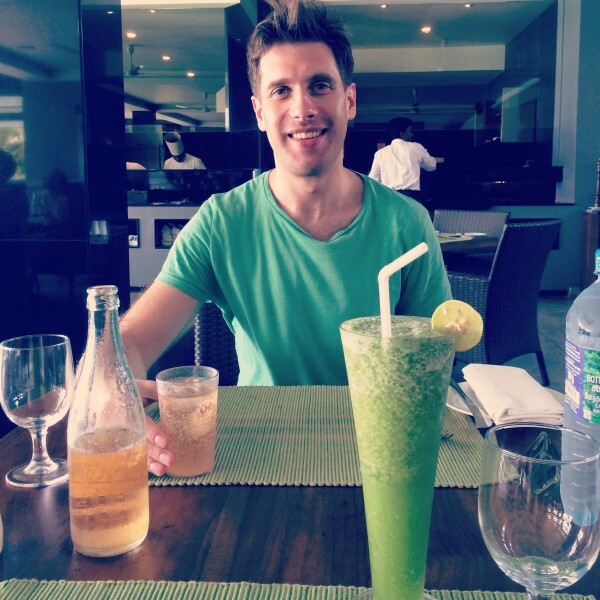 Here Ben poses with the bright green beverage, which tastes as refreshing as it looks. I asked for the recipe so I could make it at home this summer, and it couldn’t be simpler. Just blend the following: One large handful fresh mint leaves, juice of one lime, shot of sugar syrup and two handfuls ice. 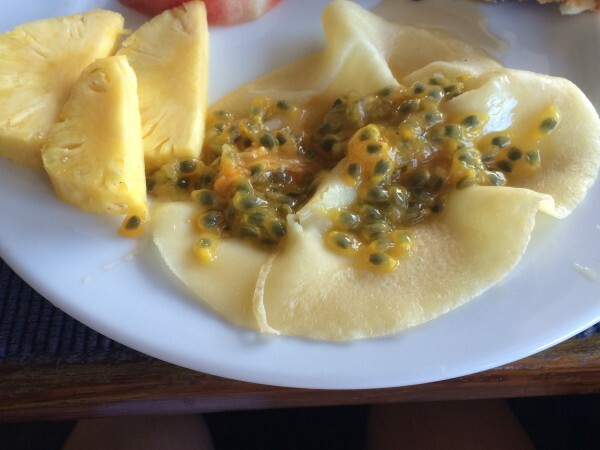 My final favourite culinary discovery took place at the breakfast buffet: passionfruit crepes. Light and super sweet, passionfruit works so well as a pancake filling because it doesn’t need any further sweetener and packs in plenty of the antioxidants vitamin A and C, plus high amounts of dietary fibre to set up your digestive system for the day.